Making public transport as flexible as private focuses attention on improving the last mile between multimodal hubs and the home/work destination. The concept of ‘the last mile’ came into common language when telecommunications and cable television companies sought to deliver faster and better services to their customers. Although they can get data to hubs and exchanges quickly and cheaply, the challenge becomes far more complicated when it comes to reaching the final destinations and wires and cables have to fan out to multiple homes and offices. Not only is connecting the last mile more expensive than other parts of a network but it is also often in the last mile where loss of service quality occurs: reliability diminishes the farther you are away from the local exchange. The same challenge occurs in the logistics sector as organisations increasingly offer their customers direct deliveries to home or office. Many firms have therefore been trying to optimise an increasingly complex system and smooth the supply chain. In addition, in many developing countries, the last mile has become a major problem for the distribution of healthcare services and medicines, especially ones such as vaccines that often require chilled environments. USAID, among other organisations, has responded by investing in the development of new tools and approaches to modify their supply chains in Africa and improve the final leg of delivery from urban depot to village health centre. Dealing with the logistics sector to begin with, where, according to the Council of Supply Chain Management Professionals, 28% of transportation costs are on average incurred in the last mile, there are lessons both good and bad to be learned. Firstly, the argument that home delivery is both more convenient and more efficient has been gaining ground over recent years. Especially with the rise in internet shopping, the opportunities for individuals and businesses have been clear: customers can get exactly what they want, delivered directly to their doors, and so do not need to make a journey to a shop or supplier themselves. As a result, efficient distribution firms can build a healthy business fulfilling this need. 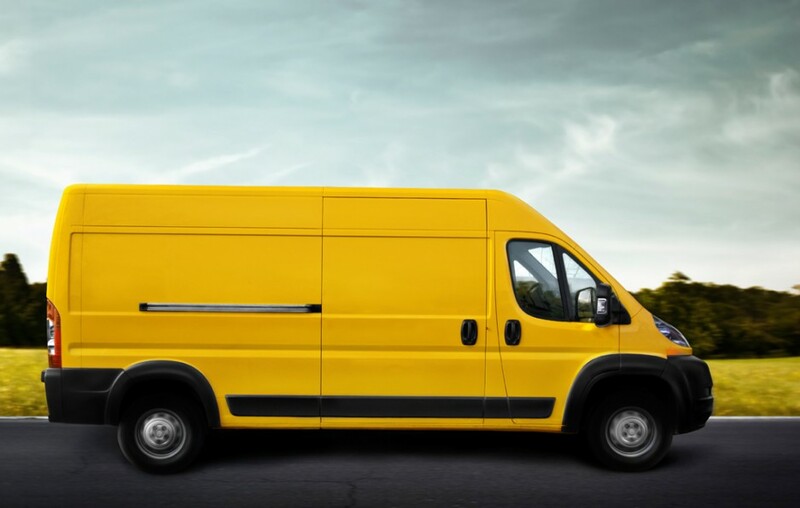 In addition, the environmental advantages have been highlighted to support the cause: research in the UK, for example, has shown that a typical van-based home delivery service produces only 5% of the CO2 emissions resulting from individuals’ average trips to the shops by car. And the carbon footprint for a shopper going by bus is seven times greater than the home delivery option. On the downside, however, such has been the success of the home delivery model in many countries that it has attracted too many competitors and there is now increasing congestion as multiple deliveries are made to the same addresses each day. To counter such problems, organisations like SNCF are planning integrated freight deliveries that bring together multiple suppliers’ consignments into single shipments per destination. Accompanied by more intelligent package-tracking technologies, companies such as UPS and FedEx similarly look to further optimise and consolidate the last mile. For people movement, the future is less technology based but shares some core thinking with the logistics perspective: most significantly, the challenge is to provide seamless access and interaction with different transport systems at local hubs. For many would-be users of public transport, a fundamental issue is how they get to their nearest access point. While cycling is a common option worldwide, in many countries no provision is made either for allowing bicycles onto buses or trains, or for secure storage at the local hub, never mind providing cycles to rent at the other end. Investments are being made across many urban areas, from Paris and Amsterdam to London and San Francisco, to address this imbalance. Elsewhere, going on foot is an option but not for all: ‘Cities in India have a very poor “walkability index”. Walking is made impossible, not just because of harsh weather conditions (extreme heat, rain and cold) but also because of the absolutely atrocious state of footpaths in many Indian cities.’ In other areas, the problem can be addressed by providing good car parking spaces at hubs such as bus depots and railway stations. In a bid to offer practical solutions that will encourage greater use of public systems, some countries are building integrated transport hubs, following Tokyo and Munich as role models, to allow efficient multimodal public transport in Bogotá and Shanghai. In some places these are being funded by governments but in others large employers are paying for the infrastructure investment. Given the advantages to be gained in terms of reducing overall commuting time and providing less stressful travel, companies in several developing economies are placing an emphasis on this. Accompanied by more integrated communication and ticketing systems which allow easy switching from one mode of transport to another, many urban planners see that by the end of the decade people could be moving to and from, on and off efficient and flexible transport systems as smoothly as parcels through a logistics network. Such is the variety of cityscapes around the world that there can be no ideal blueprint which will work everywhere but the common ambition of making public transport as flexible as individual transport is generating momentum globally. Bridging that last mile is key to this.